LOS ANGELES–(PRNewswire)–Lachlan Murdoch, the Chairman and CEO of “FOX,” the company to be spun-off in connection with 21st Century Fox’s (21CF) merger with The Walt Disney Company, announced that AMC’s President and General Manager Charlie Collier has been appointed as the company’s Chief Executive Officer of Entertainment. In this role, Collier will oversee the Fox Broadcasting Network and lead the company’s entertainment programming strategy across live, scripted and non-scripted content. Collier’s appointment is the final announcement in a string of senior leadership roles FOX has touted amidst a consistent showing of strong ratings across sports, news and entertainment programming in recent weeks. Collier will begin transitioning into his new role at FOX on November 1. “Charlie is a singular talent, combining creative success with operational expertise to lead the AMC Network with some of television’s most memorable programming,” said Murdoch. “Charlie’s skills and experience will help FOX continue to transform the broadcast television business.” During Charlie’s tenure at AMC, he oversaw increases in all notable business metrics including revenue and ratings. Under his leadership the network was transformed with cultural and critical hits including the Emmy Award-winning “Mad Men,” and “Breaking Bad,” and “The Walking Dead,” the highest-rated basic cable program in the history of television, and many more original and scripted programming hits. Collier is recognized as a veteran cable network executive also having held senior roles at Oxygen, A&E Networks and TeleRep. 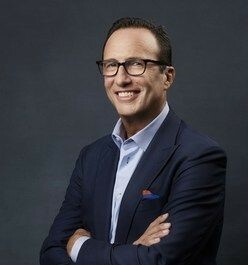 Collier said, “I can’t imagine a more exciting next step than this new role at FOX, which combines the power and reach of a broadcast division, some of the best live assets on the planet from which to build entertainment audiences and fan engagement, and a proven leadership team with a ‘make new rules’ start-up mentality.” Collier added, “I’m proud of my last decade-plus at AMC Networks as the combination of a remarkable team and world-class talent led a transformation of AMCN into both a thriving global entertainment company and a premier original programmer.” Dana Walden and Gary Newman, Chairmen and CEOs of the Fox Television Group, will stay in their current roles until the close of the transaction.